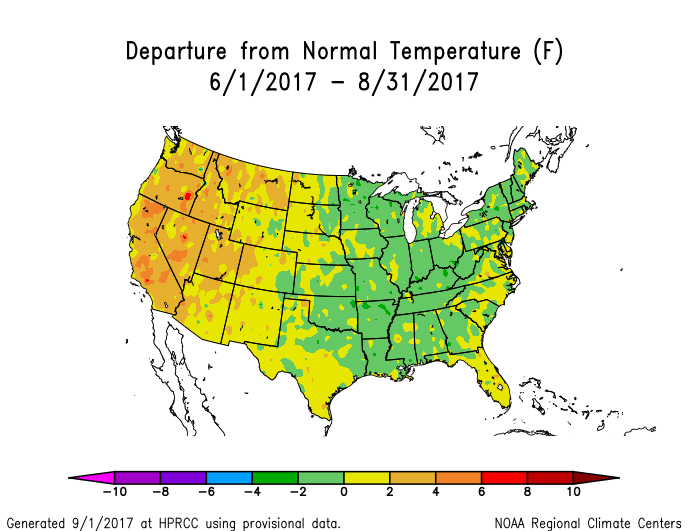 This summer will be ostensibly cooler than the previous two years; however, overall, still warmer than normal for the vast majority of the country. Global temperatures have cooled slightly in comparison to the past two years, but the base state remains quite warm. ENSO conditions will be preferentially neutral to warm neutral, oscillating near “0” (neutral) throughout the three month meteorological summer. Polar indices are typically poor correlates of surface temperatures in the warm season; with that being said, they can still be utilized to provide clues insofar as the placement of mid-level features. 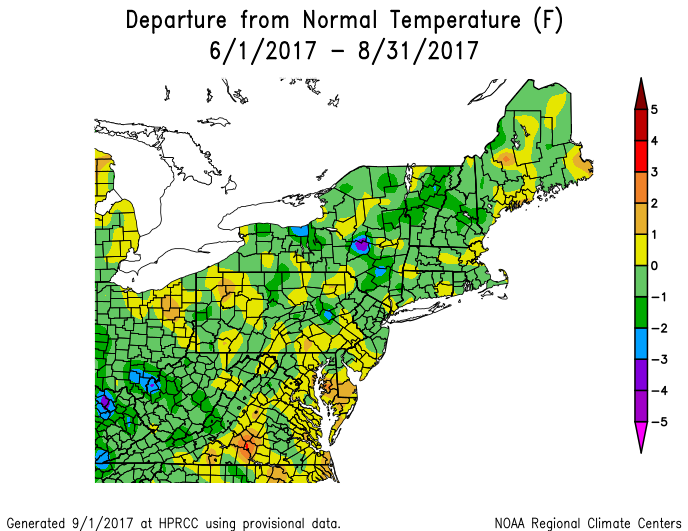 I do not expect protracted anomalous geopotential height patterns this summer; rather, there should be more volatility to the circulation. The first half of June will be cooler than average with the mean trough in the Eastern US; this will gradually transition into a near normal to potentially above normal temperature regime for the second half. 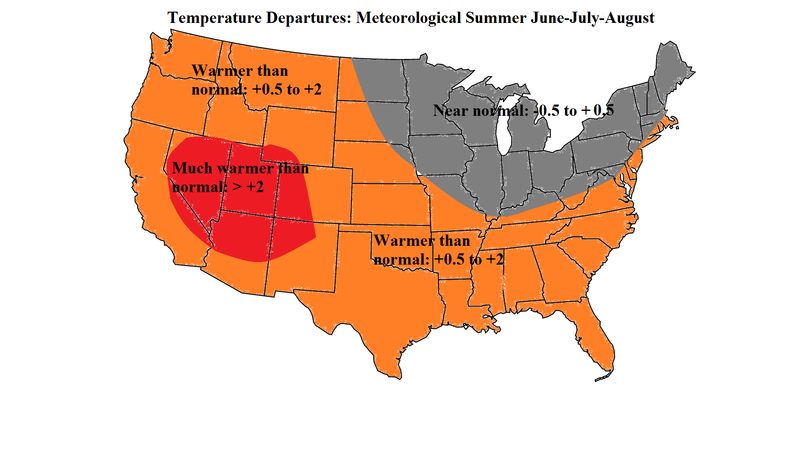 Thus, June should likely finish near average or slightly below normal in terms of temperatures. As summer progresses, there should be a proclivity for enhanced ridging on both the West and East Coasts of the US, enhanced in part by the warmer sea surface temperatures. The aforementioned teleconnection modalities indicate that higher geopotential heights will preferentially dominate the Western US and near the East Coast, with near or below normal geopotential heights in the Great Lakes. 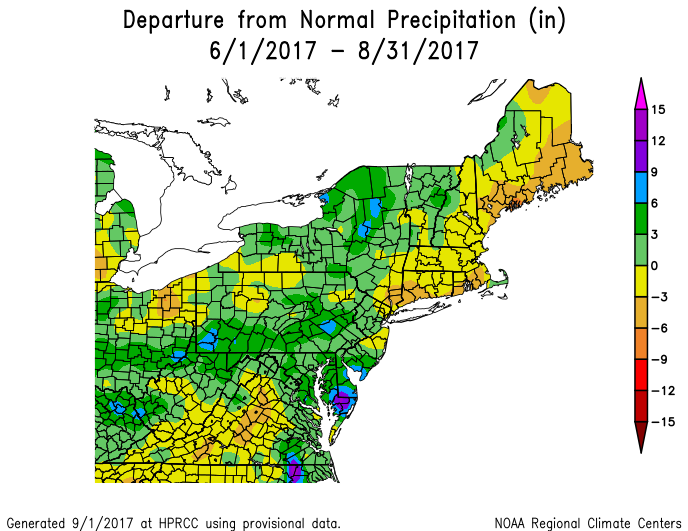 This regime would be propitious for increased precipitation in the OH Valley, and much of the Northeast/Mid-Atlantic. The analogs concur with that notion. 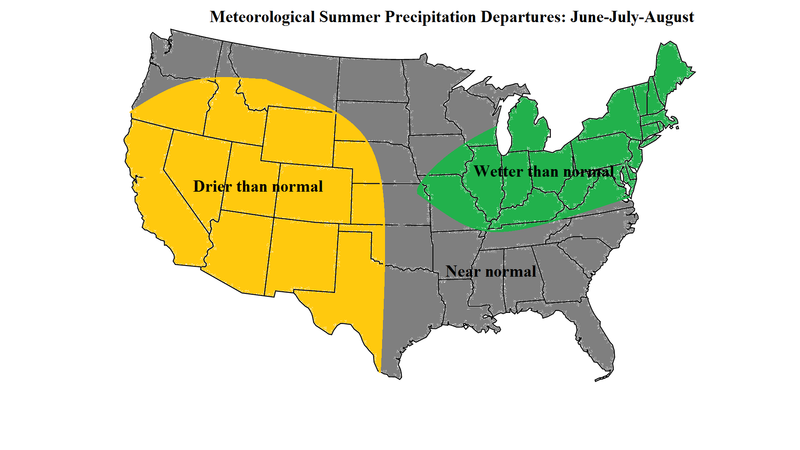 Dryness may encompass the areas closer to the Southeast US coast, although, tropical cyclone activity may erase some of the negative precipitation departures later in the summer. The warmer than normal western Atlantic will increase dew points and elevate the overnight minima on the East Coast, particularly in the middle to latter part of the summer. August’s evolution is probably most indeterminate at this juncture, due in large part to ENSO fluctuation uncertainties. A rapid onset to warm ENSO conditions could yield a cooler August than expected, and vice versa. At this point, I am favoring July as the hottest month relative to normal, and subsequently, a near normal or slightly warmer than normal August. If there’s a curveball, I believe it will be that August features more troughiness/coolness over the Northeast. Meteorological Summer (June-July-August) Precipitation Departures for the NY-NJ region: wetter than normal [convective nature of summertime precipitation renders any forecast of greater specificity useless]. Forecast was -0.25 to +0.75 for temperature departures. The ideas that the hottest part of summer relative to normal would occur in July, with cooling in August, as well as the overall summer being very close to normal temperature wise verified. 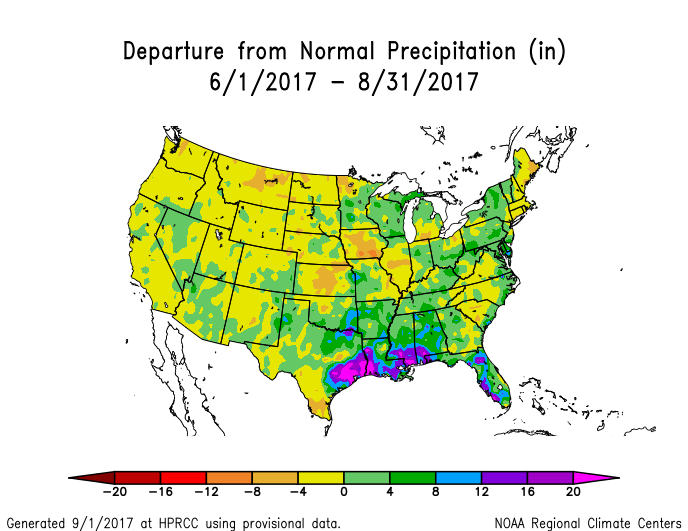 Both the temperature and precipitation outlook for the CONUS as a whole closely mirrored the outlook. The coolest zone was across the Great Lakes with the hottest region the West, as anticipated. Flaws in the outlook included more rain than expected in the Deep South (particularly due to Harvey – very difficult to anticipate), and less rain than anticipated in coastal New England. Otherwise, both the progression and overall expectations went essentially as prognosticated. Given temperature departures fell within the expected, narrow range, and precipitation production was above normal for most of the Northeast and Mid-Atlantic, this long range outlook will be considered a success.